Earlier this week, yet another project crossed the $1m milestone in funding crowdsourced via Kickstarter. Yet, the platform only accepts projects from US residents, which means the rest of the world is left out. However, Latin American creators now have a solid alternative: the Argentine platform Ideame, launched in August amid the region’s recent crowdsourcing boom. Since then, the website has hosted over 100 projects, of which 20% reached their funding target. The categories are varied, ranging from book publishing to documentaries, arts, fashion, music and tech projects. According to its CEO Sebastian Uchitel, Ideame’s main difference compared to other crowdfunding sites is its focus on Latin America. While the platform is available in English and Spanish and accepts international payments through PayPal, the projects themselves come from Argentina, Mexico and Chile. During the second half of the year, Ideame will launch a version in Portuguese and expand to Brazil and Colombia, where it has already started to source projects. Working hand in hand with creators is a key part of Ideame’s activity; besides filtering the projects, its local staff also has to assist and help project leaders as much as possible. As a matter of fact, Uchitel sees his startup as “a social venture, on a social mission.” While its ambition is to solve the lack of distribution and funding for Latin American ideas, funding is only one part of the question. “What we need to do is to create a community interested in Latin America’s creativity, which we are showcasing on Ideame,” Uchitel explains. According to Uchitel, crowdfunding has already proven it can be successful in Latin America. However, the recent boom of crowdfunding platforms means that some of them may not survive. To ensure it won’t be one of these, Ideame is developing partnerships with sponsors. For the brand, it represents an opportunity to associate its image with entrepreneurship, philanthropy and creativity, while guaranteeing some presence on social networks. As for Ideame and its community, this creates a new revenue source without changing the nature of each project. So far, Ideame has already partnered with Microsoft, as well as with public institutions in Argentina and Mexico. Besides presenting projects, these partners can also decide to match the contributions a specific project attracts, or guarantee it will complete the amount if it reaches 30% of its target. Beyond brands and institutions, Ideame has also started to attract another high-profile category: celebrities. From actors to musicians, several Latin American established artists have launched projects through the platform. This is obviously great news for Ideame, though it makes it clear that the platform will treat everyone as equals. As a startup, Ideame itself can count on the support of well-known Latin American entrepreneurs, such as Wences Casares, who is one of the company’s investors. 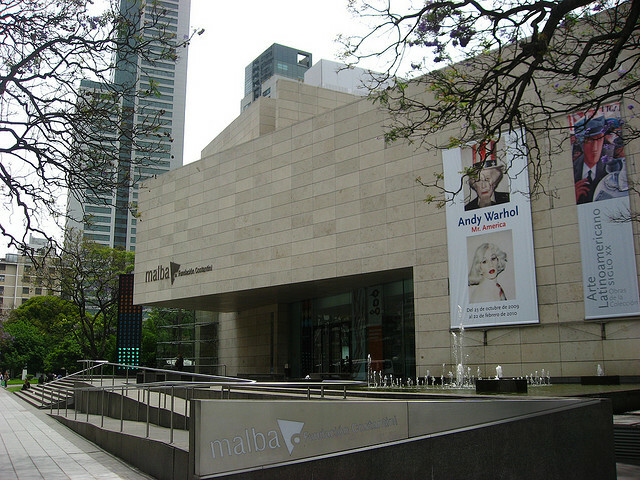 As for its board, it includes Atakama Labs‘ co-founder Tiburcio de la Carcova,Three Melons’ founder Mariano Suarez Battan and Eduardo Costantini, former executive director of the Latin American Art Museum of Buenos Aires (MALBA). More recently, the company was part of the first batch of startups accelerated by NXTP Labs. Part of TechStars’ network, this new accelerator is based in Buenos Aires, where Ideame is also headquartered. Besides its Argentine team, the startup also has collaborators in each country where it operates, with a total staff of around 15 people. The main item on Ideame’s roadmap for the next months is its regional expansion; according to Uchitel, the startup wants to be the regional leader. However, it also has other launches in the works. One of them is Ideame Social, which will focus on finding funding and attention for projects that can have a social impact. The other one will take place in the real world – Ideame’s goal is to put together an unplugged music festival, where talent and sponsoring will be crowdsourced. Have you already submitted or funded a project on Ideame? Let us know in the comments.